Transportation Costs > How Much Does a Bus Ride Cost? How Much Does a Bus Ride Cost? Riding the city bus can be a better alternative for those who do not have the money to purchase a car. It is also a good option for those who work in a city with a lot of traffic. In most cities, a one-way bus ride costs $1-$3. In some cities, this price will pay for an all-day bus pass. Refer to our chart below to see what major bus lines in the United States cost. Some cities offer bus tickets for discounted prices. For example, instead of $1.50 per ride, you may be able to purchase a ticket worth 10 rides for only $13. Some cities also offer a monthly pass for $25-$60. This will allow the holder unlimited bus rides for the whole month. For example, TheRide.org based in Ann Arbor, Michigan, charges $1.50 for a one-way trip. According to a forum post started on BikeForums.net, the daily pass for a bus trip around the United States can vary anywhere from $0 to as much as $6 depending on the geographical location, the bus and the type of pass purchased. Some cities offer an express bus service. This bus will make fewer stops, and most of these stops will be at city hot-spots. This bus service is usually $2-$5 per ride. Night ride services are going to cost more than the day side. Even though some buses may not run at night, they may have some sort of night side taxi shared service that can help pick up passengers. 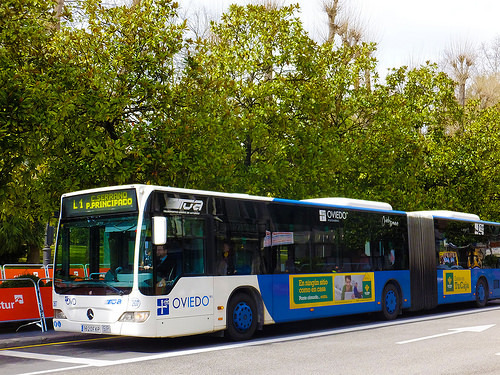 Transfers from one bus to another may incur additional expenses unless the transfer was done within a certain time period. This will depend on the bus system’s policy. Buses will run on a set schedule each and every day. Make sure that you know the schedule because systems can’t make customized stops. If you miss a stop, it could take hours before the next bus comes by. Bus systems will have a set time of operating hours. Major cities will have buses that run 24 hours a day, but smaller city bus systems may only run until 10 to 12 at night. Many bus systems will provide discounts for senior citizens, students and those who meet certain minimum income requirements. Some bus companies may offer the route free of charge to younger children and seniors. Purchasing a monthly pass is ideal for those that want to get a significant discount. Most bus systems will offer a discount to those that purchase 30, 60 and 90-day passes. Consult with some employers as many are more than happy to provide a discount to those that ride the public transit system. Some companies also have ties to some companies to provide a significant discount. Children younger than five can ride for free on some bus lines.